No computer is properly complete without its own Office package. Office assists in the compilation of texts of all kinds, in the completion of spreadsheet calculations and in the preparation of expressive presentations. In these tasks, Microsoft Office is the generally accepted standard, as its formats are established and the functions it offers are continually required. This is where the Ashampoo Office 2008 steps in. The program only occupies a limited amount of storage space on the hard drive, is very stable and still offers all of those Office functions which genuinely need to be used in private or in business environments. A fair price that all users can afford without problem also ensures that the Ashampoo Office 2008 is rapidly winning new friends. Its simple menu prompting and ease of use allows users of other Office solutions a problem-free switchover. 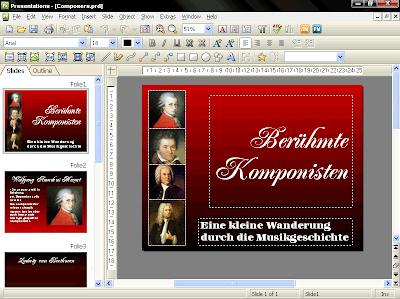 It goes without saying that the most important thing is the fact that reading and writing in the original Word, Excel and PowerPoint files without losses of content or in terms of formatting presents no problem for the Ashampoo Office 2008. That means that every user of the Ashampoo Office is able to open, modify and then save a Word file in exactly the same way as if the work had been done in Word itself. 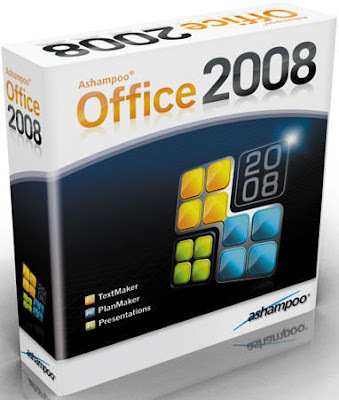 Ashampoo Office 2008 is supplied with the word processing tool Ashampoo TextMarker, the spreadsheet program Ashampoo PlanMaker and – brand new in the current version – the presentations software Ashampoo Presentations.